ARNOLD Van Opstal said he decided to sign with PBA D-League side Cebuana Lhuillier for the Foundation Cup in order to gain more experience before joining De La Salle in the coming UAAP Season 78. The 6-8 center said his stint with the Gems this conference following his campaign with Hapee in the Aspirants Cup will keep him sharp during the extended break of the UAAP basketball season, whose start has been pushed back from July to September. “I want to gain a lot of experience before entering another season of the UAAP and make the most out of playing basketball,” said Van Opstal after his new team played a tune-up game against the Malaysia national team on Wednesday at the Acropolis Gym. “I want to play as much as I can during the long break especially with the UAAP starting in September. I want to make the most out of it,” Van Opstal said. Van Opstal will be joining a Gems team is still undefeated after seven matches in the conference, making them a top favorite for the title. Van Opstal said being able to join former La Salle teammates Norbert Torres and Almond Vosotros influenced his decision to leave Hapee. “I have a bunch of guys who I’m very comfortable with in Almond and Norbert,” said Van Opstal. The newly acquired Cebuana Lhuillier big man said he is also looking forward to playing with Moala Tautuaa, the prospective No. 1 draft pick in this year’s PBA rookie draft. “I haven’t really seen him play that much but with his attitude, he is a cool guy, light-hearted and doesn’t take things too seriously. It’s always good to be around people with a lot of positive energy,” said Van Opstal. Van Opstal said he cherished his stint with Hapee during the Foundation Cup where he was part of the Fresh Fighters squad that swept Cagayan Valley in the finals. Injuries, however, forced Hapee to put Van Opstal on the reserve list, making him eligible to sign with other teams. “Unfortunately, during the end of the (conference), I got injured and they put me on the reserve list. I guess from there, that’s how things ended. Now it’s a new chapter for me. 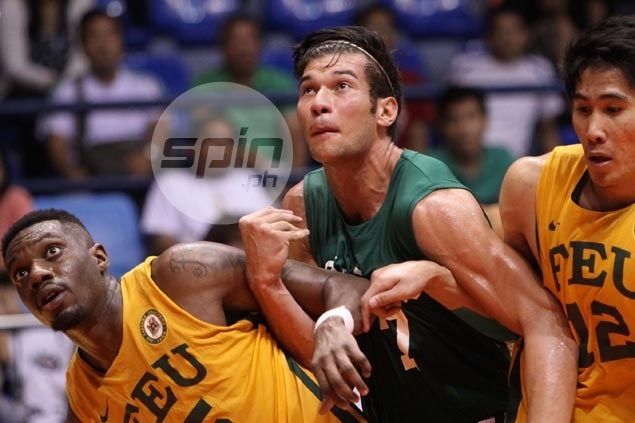 I look forward to winning another championship in the D-League with a new team,” Van Opstal said. Van Opstal believes Cebuana Lhuilllier can match up with his old team Hapee, which welcomed the return of the San Beda Red Lions players in the roster led by Ola Adeogun and Baser Amer.